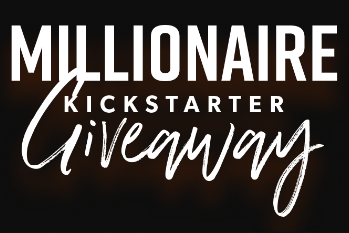 Dave Ramsey Millionaire Kickstarter Giveaway – Win $5,500! ENTRY LIMIT – Limit one entry per person per day of the entry period. ELIGIBILITY – You must be a legal resident of one of the 50 United States or the District of Columbia, and at least 18 years of age. SWEEPSTAKES ENTRY PERIOD – Sweepstakes begins Aug. 7, 2018 and ends Sept. 3, 2018. PRIZES – Entry period 1 & 2 prize: $5,500. WINNER’S LIST – For a list of winners, send a self-addressed, stamped envelope to The Lampo Group, 1749 Mallory Lane, Brentwood, Tennessee 37027, Attn. Be the Next Everyday Millionaire Giveaway Winners – Marketing Department. Unless otherwise required by law, requests received after one month following the drawing date will not be filled. 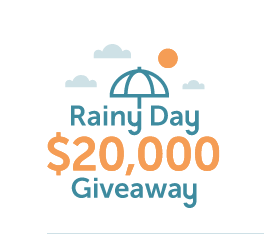 Dave Ramsey $20,000 Rainy Day Giveaway – Win $5,000! ELIGIBILITY – You must be a legal resident of one of the 50 United States or the District of Columbia and at least 18 years of age. Tennessee laws will govern this sweepstakes. SWEEPSTAKES ENTRY PERIOD – Sweepstakes begins May 2, 2016 and ends May 31, 2016. PRIZES – There will be 4 winners selected (one for each entry period). Each winner will receive $5,000! 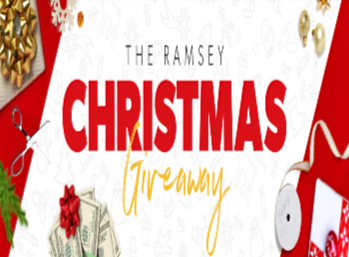 Dave Ramsey Do Christmas Right $100,000 Giveaway – Win $15,000! SWEEPSTAKES ENTRY PERIOD – Sweepstakes begins November 6, 2015 and ends Dec. 21, 2015. 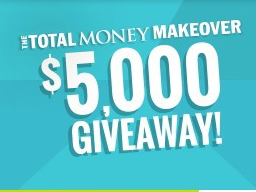 Dave Ramsey Total Money Makeover $5,000 Giveaway – Win $5,000! ELIGIBILITY – You must be a legal resident of one of the 50 United States or the District of Columbia (except New York, Florida, and Rhode Island), and at least 21 years of age. SWEEPSTAKES ENTRY PERIOD – Entries will be accepted from August 14, 2015 (12:00 a.m. CST), through August 31, 2015 (11:59 p.m. CST). PRIZES – One grand prize winner will receive a cash prize of five thousand dollars ($5,000.00). 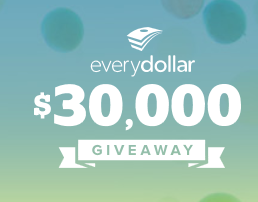 Dave Ramsey The “EveryDollar $30,000 Giveaway” Sweepstakes – Win $5,000! ENTRY LIMIT – You may enter only one time during each entry period. ELIGIBILITY – You must be a legal resident of one of the 50 United States or the District of Columbia and at least 18 years of age. SWEEPSTAKES PERIOD – Sweepstakes begins May 4, 2015 and ends May 31, 2015. 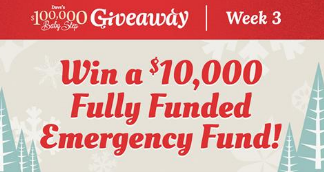 Dave Ramsey “Dave’s $100,000 Baby Steps Giveaway” Sweepstakes – Win $12,000! ELIGIBILITY – To enter the sweepstakes you must be a legal resident of one of the 50 United States or the District of Columbia, and at least 18 years of age. SWEEPSTAKES PERIOD – Sweepstakes begins November 3, 2014 and ends December 21, 2014. Dave Ramsey $8,000 Turnaround Giveaway Sweepstakes – Win $8,000! ELIGIBILITY – Legal residents of the 50 states (Excluding New York) or District of Columbia who are at least 18 years old are eligible to enter. SWEEPSTAKES PERIOD – Entries will be accepted from August 11, 2014 until 11:59 p.m. (CDT) on September 2, 2014. PRIZES – One $8,000 cash prize will be given away. 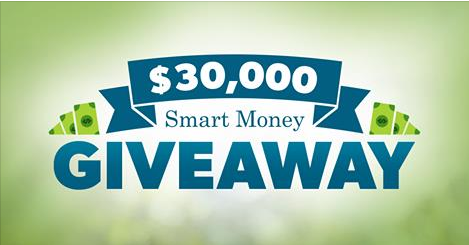 Dave Ramsey’s Smart Money Giveaway Sweepstakes – Win $10,000! ENTRY LIMIT – Limit one entry per person per entry period. SWEEPSTAKES PERIOD – Sweepstakes begins May 12, 2014 and ends June 4, 2014. Entries accepted starting at 12:01 a.m. Entries not accepted after 11:59 p.m.
Dave Ramsey’s $600 Date Night Contest – Win $300 cash & more! ENTER SWEEPSTAKES HERE – Dave Ramsey Facebook page. ENTRY LIMIT – You may enter only one time. SWEEPSTAKES PERIOD – The entry period shall begin at 12:01 a.m. CST on February 5, 2014, and end at 11:59 p.m. CST on the February 13, 2014. PRIZES – First place winner wins $300.00 cash and a $300.00 gift card to http://www.ScoreBig.com. The second place winner will receive $150.00 cash and a $150.00 gift card to http://www.ScoreBig.com. The third place winner will receive a $100.00 gift card to http://www.ScoreBig.com. In addition, all eligible entrants whose unique link is shared and used by other entrants will be entered to win a $25.00 gift card to http://www.ScoreBig.com as many times as the link is actually used and a form is completed by another entrant. Ten (10) winners will be randomly drawn via computer. The winners will be the first 10 names selected.